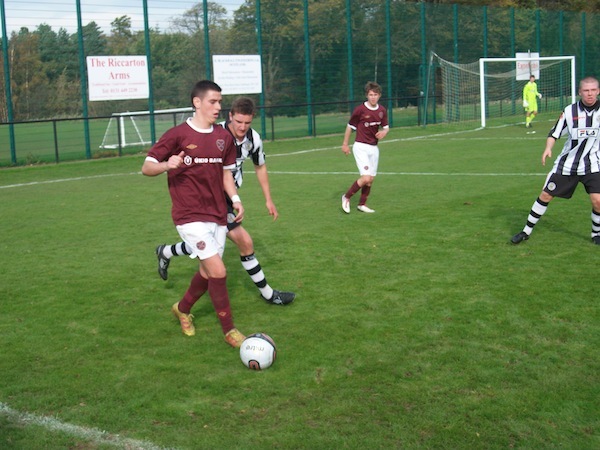 Hearts Under 19s continued their impressive start to the league campaign with a 2-0 win over St Mirren at Riccarton yesterday. Second half goals from Jordan McGhee and Billy King sealed a 7th win of the season for Darren Murray’s outfit, who bounced back after defeat to St Johnstone last time out. The ‘Wee Hearts’ didn’t have things all their own way in the early goings, despite being dominant in possession, and indeed it was the visitors who created the first opportunity of the game. Clever footwork from the St Mirren centre forward saw him skip by Hearts captain Chris Kane before cutting the ball back to edge of the 18 yard box. A well struck shot produced a terrific save from goalkeeper Jack Hamilton to keep the score level. The home side stepped up their game and created their only first half chance of note on 20 minutes. After a driving run from midfield, Jason Holt picked out team-mate Jamie Walker in space on the edge of box, but the forward didn’t connect properly with the shot, and volleyed well wide. The visitors began to capitalise on a disappointing first half performance from Hearts and were to create two more scares for The Jambo’s before half time. The first came on 33 minutes when a cross from the right hand side was punched away by ‘keeper Hamilton and the follow up effort from the St Mirren striker was again well parried by the impressive Hearts stopper. But the best opportunity of the first 45 minutes came just before the break. A good run from deep by the St Mirren midfielder saw him cut through the Hearts rearguard and he was unfortunate to see his low drive strike Jack Hamilton’s right hand post. Darren Murray was clearly unimpressed with his side’s first half performance, and he rang two changes to the side to inject some fresh impetus into the team. Jordan McGhee replaced Callum Paterson and Dale Carrick made way for winger Sam Nicholson. And the changes began to pay dividends for a far more positive home side. Jamie Walker was played in by Scotland U21 starlet Jason Holt on 50 minutes and the forward should have finished his chance, but one too many touches saw him dispossessed in the penalty area. 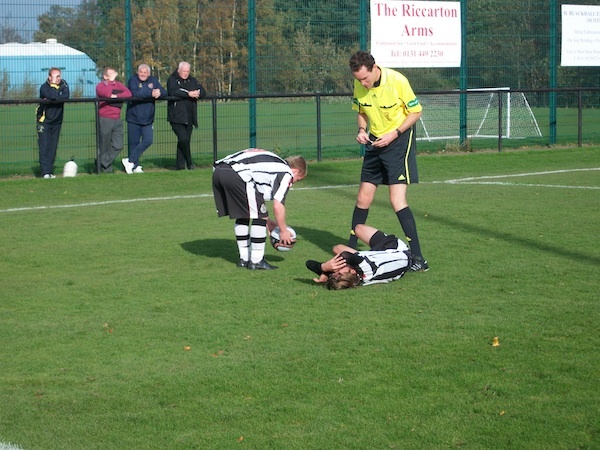 David Smith’s follow up effort was then well saved by the St Mirren goalkeeper. Hearts made their visitors pay on 65 minutes however by taking the lead. A low corner drilled into the area resulted in the ball ending up at the feet of substitute Jordan McGhee. The young centre half showed brilliant composure to create space and drilled the ball home from 15 yards. This sparked enthusiasm into the home side and their advantage was doubled just 10 minutes later. The impressive Jamie Walker picked up the ball 25 yards from goal before slipping a deft ball through to wide-man Billy King. King showed superb confidence by smashing the ball low and hard across the goalkeeper into the far corner of the net. The hosts could have added further goals, but chances from Smith and Holt were not converted meaning they would have to settle for a 2-0 victory. Darren Murray’s side will now look toward next Saturday’s fixture against Dunfermline where they will be hoping to notch up their 8th league victory of the season. Hearts team: Hamilton, McHattie, Kane (c), McKay, Stewart (Mullen, 80), Paterson (McGhee, 45), Walker, Holt, Smith, B.King, Carrrick (Nicholson, 45). Subs Not Used: Carswell, Scott, Thomson, A.King.